A suggestive case of metastatic disease from breast cancer is reported. The HER-2-positive tumor was refractory to several agents, including anti-HER-2 therapy, trastuzumab, and lapatinib. After re-induction of trastuzumab in combination with activated natural killer (NK) cell injection therapy, tumor markers decreased, and finally a synergistic effect of taxane and capecitabine led to treatment response. This case suggests that multidisciplinary therapy including an immunological approach might be a breakthrough in the treatment of refractory disease. 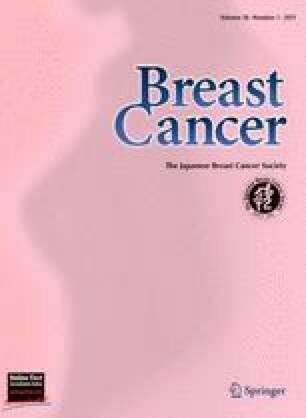 This case was presented at the 15th Annual Meeting of the Japanese Breast Cancer Society in 2007. We obtained consent for publication in print and electronically from the patient’s husband.